Your review means a lot to us! 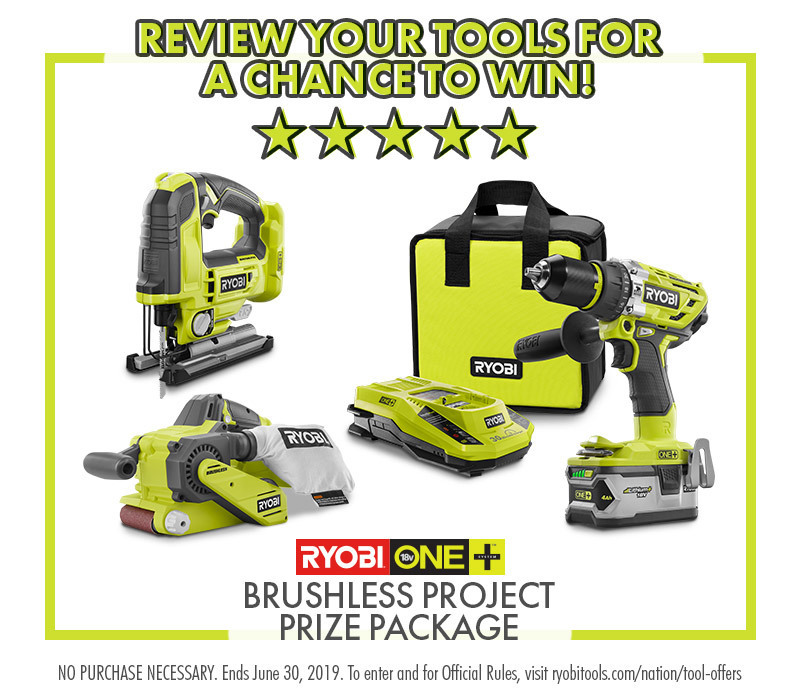 Please take a few moments to tell us about the tools you've purchased, and you'll be entered to win the RYOBI ONE+ Brushless Project Prize Package! One winner will be chosen each month. To enter, simply click Write a Review on your tool's product page in ryobitools.com. See the latest and greatest from RYOBI Power Tools! New products, promotions, and more. Help us understand our RYOBI Nation members better by filling out this brief survey. We continue to strive for improvement, and with your help we can better serve our DIY Community!